So many things in every day life make life much easier, better or just convenient, but are just there as part of the daily landscape. We don’t usually think of the fact that someone had to invent these things and actually get from an idea to a working model to mass production and adoption. Sounds simple but it is anything but easy. This list presents ten inventions that are not given much thought by the majority of consumers� – we just expect them to be around – but are everywhere in every day of our lives. These are just a few of the inventions that fly under the radar. 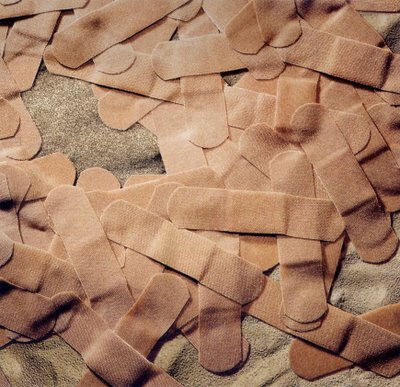 Earl Dickson invented Band-aids for his wife, an inexperienced cook who often cut or burned herself in the kitchen. Dickson worked for Johnson and Johnson and began experimenting with ways of combining the gauze and tape made by his company. The problem was that when the tape was unrolled, the sticky surfaces would dry up. He finally came up with the idea of using pieces of crinoline material to cover the tape until the bandage was needed. The crinoline pulled off of the tape easily and quickly and ensured that it remained sticky when needed. Without the invention of lace up shoes, we would all still be wearing sandals like the Romans. As to when, how or who has credit for their invention, the truth is that no-one knows exactly. Like shoes, shoelaces have been around for thousands of years, long before either names or inventors were ever recorded. 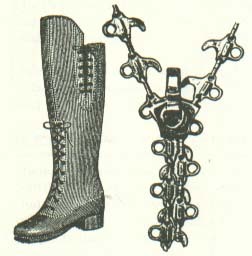 Having started as basic string or leather thongs with which primitive humans bound their foot coverings, they would have gradually evolved into the shoelaces that we know today, with eyelets and sspecial knots, but it is impossible to credit a single individual with their “invention”. 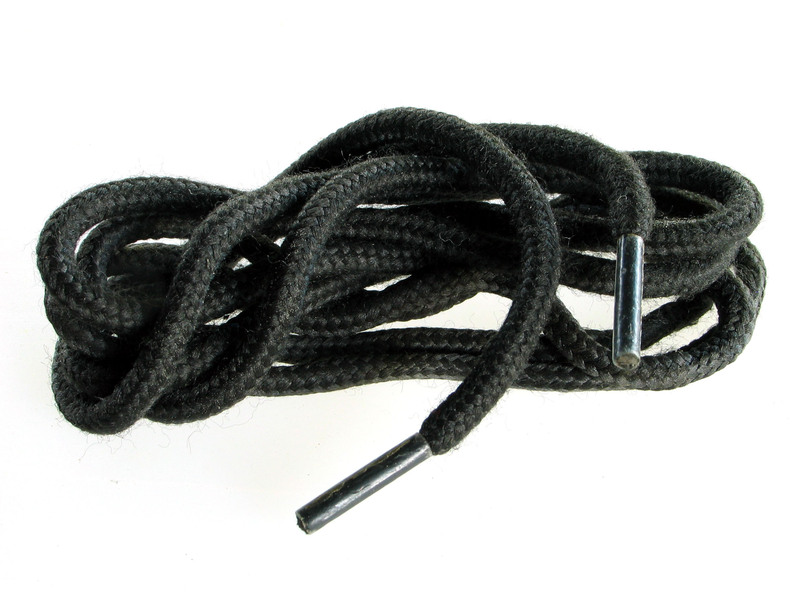 It is widely reported that shoelaces were invented by Harvey Kennedy on 27th March 1790. This date is centuries after shoelaces were in common use and is clearly inaccurate. Perhaps he patented a particular type of shoelace, but he did not “invent shoelaces”. Harvey Kennedy did hold a patent and made an estimated $2,500,000 from his patent of the shoelace. However, one widely accepted theory is that he did not invent the shoelace but took advantage of the ability to patent the shoe fastening lace that already existed and make a great deal of money int he process. 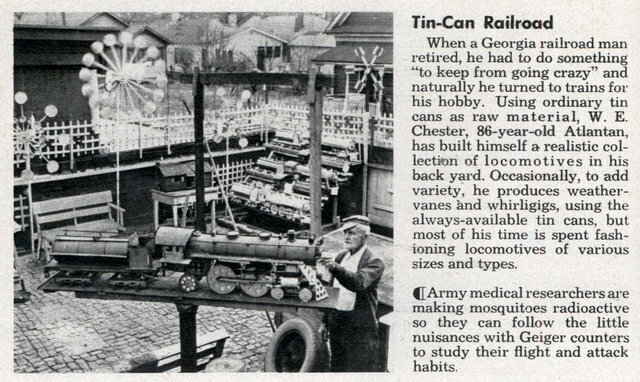 Great business yes, but master inventor? The first shopping carts were put into service by grocery store owner Sylvan Goldman in 1937. In 1921 he and his brother set up a chain of self-service grocery stores equipped with woven baskets customers could carry while they shopped.� It was a huge success. They finally sold out to the Safeway chain. This time, the Depression wiped out their Safeway stock. 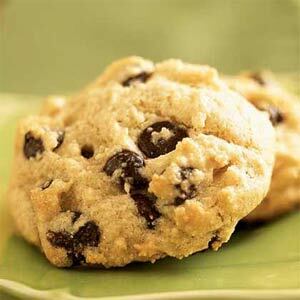 But the wonderful thing about food is that everyone uses it�and uses it only once. The Goldmans dove back in. By the mid-�30s they owned half of the Standard/Piggly-Wiggly chain. One night, in 1936, Goldman sat in his office wondering how customers might move more groceries. He stared idly at a wooden folding chair. Put a basket on the seat, wheels on the legs. Goldman and a mechanic, Fred Young, began tinkering and came up with the first metal frame shopping cart. By 1940 shopping carts had found so firm a place in American life as to grace the cover of the Saturday Evening Post. Supermarkets were redesigned to accommodate them. Checkout counter design and the layout of aisles changed. Recent studies determined while the cartless retailers such as Sears and J.C. Penney have suffered slow sales in recent years, the retailers that do use shopping carts, among them Target and Home Depot, have had booming sales. In large part this could be attributed to the ease of shopping made possible by Sylvan Goldman’s invention�the shopping cart. Joseph B. Friedman (1900 – 1982) was an independent American inventor with a broad range of interests and ideas. One day Friedman watched his young daughter struggling to drink out of a straight straw. He took a paper straight straw, inserted a screw and using dental floss, he wrapped the paper into the screw threads, creating corrugations. After removing the screw, the altered paper straw would bend conveniently over the edge of the glass, allowing small children to better reach their beverages. 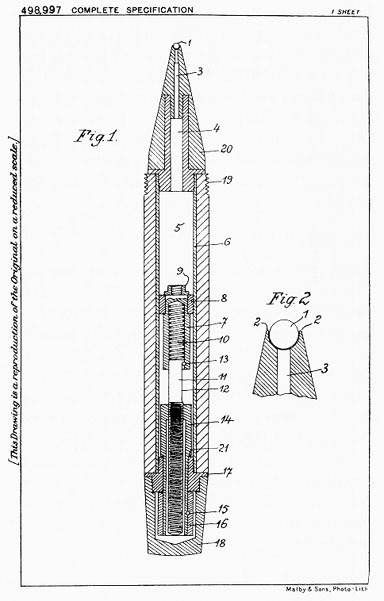 U.S. patent #2,094,268 was issued for this new invention under the title Drinking Tube, on September 28, 1937. Friedman would later file and be issued two additional U.S. patents and three foreign patents in the 1950s relating to its formation and construction. 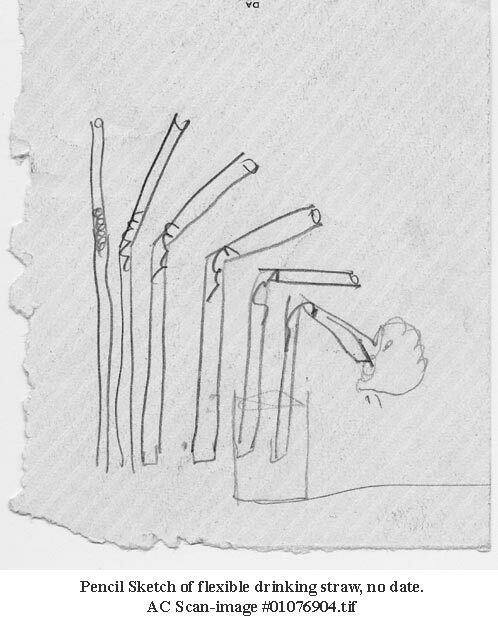 Friedman attempted to sell his straw patent to several existing straw manufacturers beginning in 1937 without success, so after completing his straw machine, he began to produce the straw himself. The Flexible Straw Corporation was incorporated on April 24, 1939 in California. Friedman completed the first flexible straw manufacturing machine in the late 1940s. Although his original concept had come from the observation of his daughter, the flexible straw was initially marketed to hospitals, with the first sale made in 1947. On June 20, 1969, the Flexible Straw Corporation sold its United States and foreign patents, United States and Canadian trademarks, and licensing agreements to the Maryland Cup Corporation. The Flexible Straw Corporation dissolved on August 19, 1969 but the product remains a common item found in everyday life everywhere. It is the Hungarian Biro Brothers who are generally credited with inventing the ball point pen, though there was much work along the way before they submitted their particular patented design. The story begins in 1888 when John Loud, an American leather tanner, patented a roller-ball-tip marking pen. Loud�s invention featured a reservoir of ink and a roller ball that applied the thick ink to leather hides. John Loud�s pen was never produced, nor were any of the other 350 patents for ball-type pens issued over the next thirty years. The major problem was the ink – if the ink was thin the pens leaked, and if it was too thick, they clogged. Depending on the temperature, the pen would sometimes do both. The next stage of development came almost fifty years after Loud�s patent, with an improved version invented in Hungary in 1935 by Ladislas Biro and his brother, Georg. When World War II broke out in Europe, a few years later, the Biros fled to Argentina, stopping in Paris along the way to patent their pen. Though it was not until over a decade later, after many changes to its design and the ink by other manufacturers, that the ballpoint pen would become popular. In England, they are still called Biros, and many Bic models also say “Biro” on the side of the pen, as a testament to their primary inventors. 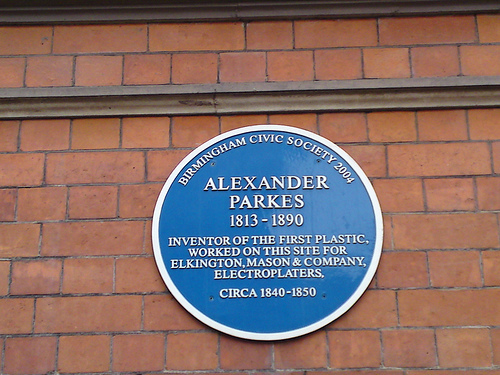 It is widely accepted that Alexander Parkes (1813-1890) was the inventor of plastics. As a young man, Parkes worked in metallurgy and casting. His interest in the newly formed rubber industry in the 1840s and 1850s led to the invention of a new material which he called Parkesine. This material was based on cellulose nitrate and is generally accepted as the first plastic. Parkes introduced his new material at the 1862 Great International Exhibition in London and was awarded a prize medal. He established The Parkesine Company in London but the enterprise was not successful, partly because the material proved to be highly flammable and partly because Parkes compromised the quality of his goods in an effort to keep the price down. The company was liquidated in 1868. Although his invention influenced and changed the world, and plastics are continually being adapted for new uses, it continues to fly under the radar as one of the most important inventions of the last century. Just about anything is available in a tin can, and as a packaging innovation, the tin can has changed modern life. Food can be preserved for shipping, shopping, storing – non-food items can be packaged to ensure safety and no damage in transport, and logistics and manufacturing were transformed, to name but a few of the impacts of the tin can. In 1810 British merchant Peter Durand first patented the tin can. Three years later John Hall and Bryan Dorkin opened the first commercial canning factory in England, and by 1846, a machine was invented that could manufacture 60 tin cans per hour. The someone had to invent a way to open them. The funny part is that although tin cans were used in 1846, it was not until 1858 that the can opener was invented. The first tin cans were so thick they had to be hammered open. As cans became thinner, it became possible to invent dedicated can openers. In 1858, Ezra Warner of Waterbury, Connecticut patented the first can opener. The U.S. military used it during the Civil War since canned food had been incorporated into the military. In 1866, J. Osterhoudt patented the tin can with a key opener that you can find on sardine cans. As another point of interest, on January 24, 1935, the first canned beer, “Krueger Cream Ale,” was sold by the Kruger Brewing Company of Richmond, VA. In the modern digital age “softcopy” rules – books are produced electronically, CD-ROMs and Adobe Acrobat are the main mediums for print materials and mail is almost never hand written. Much of the newest generation is not aware of the importance of printed words in “hardcopy”, yet the invention of printing press changed the world forever. It allowed for mass production of printed material which in turn led to thee need for literacy among all people, universal education and ensuing advancements in the general standard of life and society. 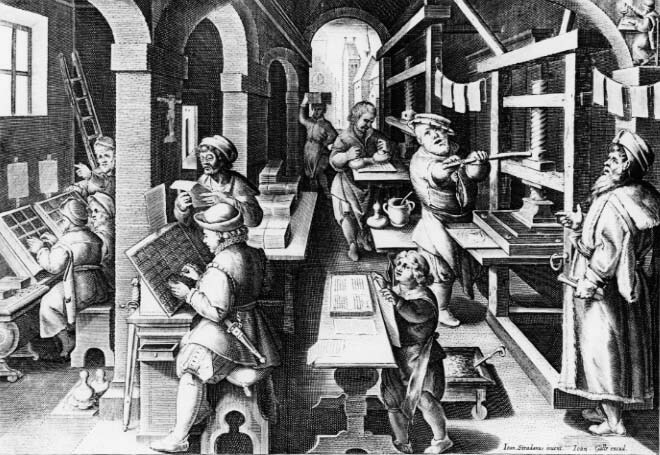 Johannes Gutenburg invented the modern movable type printing press in approximately 1450 AD. Equally important to the printing press – essential in fact – is paper. It doesn’t grow on trees – somebody had to invent it. Though every person on earth uses paper every day in some form or fashion, this invention is another partner to the printing press that flies under the conscious radar. The invention of the printing press relied heavily on Chinese paper merchants and the history of paper making in Asia. The Chinese have a long history of knowing the best ways to create paper, thought to precede Egyptians. The Chinese had also begun experimenting with inks, movable clay, and block printing long before Gutenberg embarked on his own invention. Gutenberg was the next natural step in the process of invention; he saw the aggregate potential of all the individual parts and applied them to a more sophisticated machine of his design. It is hard to imagine that there was a time that we actually survived without the bar code. This grid goes almost unnoticed for most people – it is there to be scanned, and contains most information that a business needs to know about a product, from ordering and restocking to pricing and tracking. It really has changed the way that we as a society do business, and it has brought amazing efficiency and time saving for everyone. And it definitely flies under the radar of inventions you never think about. 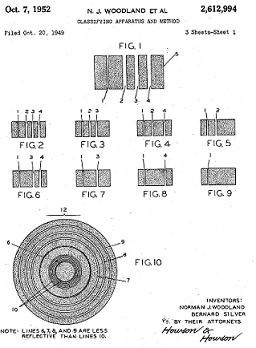 The patent for the bar code system was filed by Bernard Silver and one of his students, Woodland. The patent was not granted immediately; in fact it took three years for the patent agency to grant their invention patent for the bar code, occurring on 7th October, 1952. The invention of the barcode is patent number 2,612,994, Classifying Apparatus and Method, the official title of the patent. In 1970, Logicorn developed Universal Grocery Products Identification code (UGPIC), soon shortened to Universal Identification Number (UPC), as the central mechanism for controlling uniformly coded items. The invention of the bar code may not appear as complex, ground breaking, or as revolutionary as many other inventions, but few have been as understated, yet so effectively time-saving, efficient and manageable. 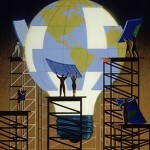 It changed manufacturing, logistics, and completely redefined the retail industry and international trade and commerce. The first product to have ever been added to the barcode system was a pack of Wrigley’s chewing gum.